The Rock Church Capital Campaign seeks to raise $260,000 by December 2020 for the Austin Dream Project. We are working with Catalyst Schools to raise money so the auditorium can be remodeled for use by us as a sanctuary, Catalyst Circle Rock Charter School and Circle Urban Ministries. There are two times, in particular, we ought to worship God: when we feel like it and when we don’t. 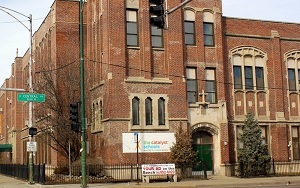 Rock Church exits to influence people, households, and neighborhoods on Chicago's West Side to THRIVE under the Lordship of Jesus Christ.